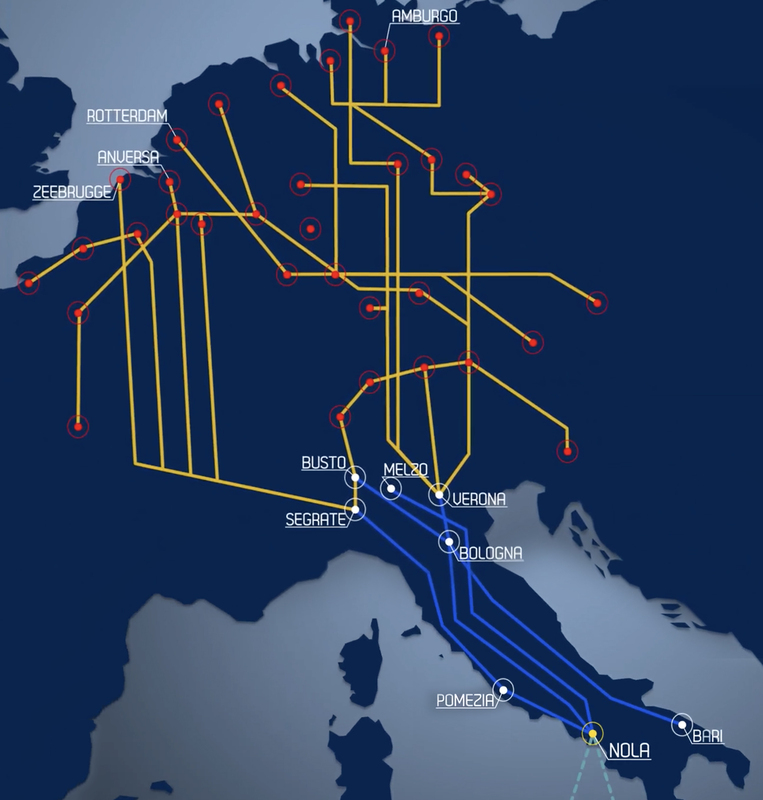 Interporto Campano, the international logistics platform connected with the world’s top hubs. A place right in the heart of the Mediterranean Sea where exchanges turn into new business opportunities. An intermodal logistics hub with an international reach, connected to the main freight distribution platforms through four modes of transport: rail, road, air, sea. Interporto Campano, a comprehensive set of services for users to support their company and allow their business to grow efficiently and entirely independently. Interporto Campano provides real estate solutions for industrial and commercial operators, freight companies and logistics operators. Warehouses built to high quality and environmental sustainability standards. The whole Freight Village is in the Campania region’s Special Economic Area (SEZ), a great opportunity to support companies economic growth.